WASHINGTON (AP) — It was the first time many liberal advocates had set foot inside President Donald Trump’s White House. They had come at the invitation of presidential son-in-law Jared Kushner, a top White House adviser. Many liberal and good-government groups had questioning his lack of experience in government, and raised concerns about potential conflicts of interest and cozy relationship with foreign leaders, including Saudi Arabia’s crown prince. But in White House conference rooms and lobbying trips to Capitol Hill, Kushner worked with advocates, legislators and those on both ends of the political spectrum to forge a deal intended to make the nation’s criminal justice system fairer. Now Kushner, the likely subject of new investigations when Democrats take control of the House next year, is getting credit for helping to push through what could be the first major bipartisan legislative success of the Trump era. Inimai Chettiar, director of the Justice Program at the Brennan Center for Justice, attended multiple meetings at the White House and lobbied with Kushner on Capitol Hill. She said that while the center’s policies are generally “very oppositional” to the Trump agenda, criminal justice offered a rare opportunity for cooperation. Kushner “understands why this is a very important issue and the effect that it could have,” she said. For Kushner, the criminal justice issue has long been deeply personal. Kushner was in his early 20s and a law and business school student in the mid-2000s when his father was sentenced to federal prison on charges of tax evasion, witness tampering and illegal campaign donations. “When you’re on the other side of the system, you feel so helpless,” Kushner told The Associated Press in a recent interview. “I felt like, I was on this side of the system, so how can I try to do whatever I can do to try to be helpful to the people who are going through it” and deserve a second chance. The issue was never part of Trump’s campaign message. But within months of his father-in-law taking office, Kushner was spotted in the hallways of Congress, coming and going from meetings on the subject. Sen. Mike Lee, R-Utah, said he talked to Kushner as often as five times a day. Kushner worked with groups including the ACLU, Brennan Center, and the conservative Koch brothers’ network, along with Republican governors, law enforcement groups, former Obama special adviser Van Jones and reality star Kim Kardashian West. And he got the president on board. 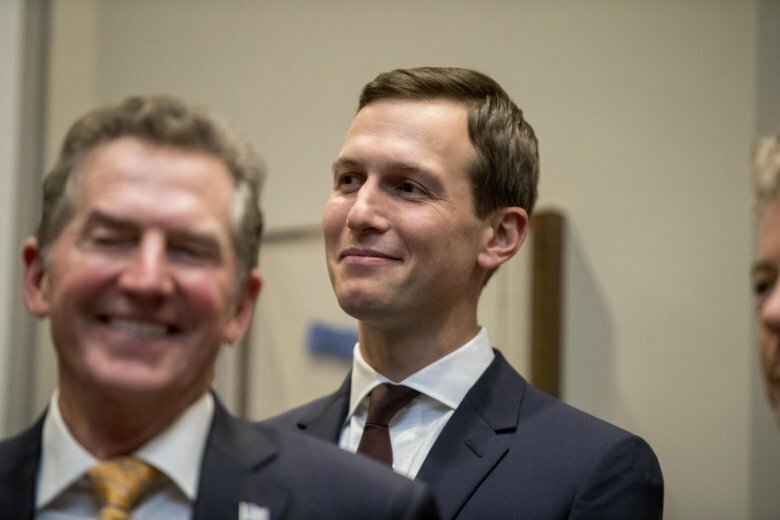 Even before Tuesday’s Senate vote, though, some of the unlikely allies worked with Kushner on criminal justice were skeptical the working relationships built in recent months will translate into further bipartisan successes. A House vote is expected later this week. The administration enters a new era in January, when Democrats take control of the House. Democrats have made clear that they intend to use their subpoena power to investigate the administration, including Kushner. He is expected to face an onslaught of inquiries digging into everything from his businesses and security clearance to his relationship with the Saudi royal accused of ordering the killing of journalist Jamal Khashoggi. Revamping criminal justice, they say, was a unique and rare area of consensus. Kushner declined to comment on the record about the expected inquiries, and what the new reality might mean for the president and the White House. He also faced opposition from within the administration, including former Attorney General Jeff Sessions, who opposed sentencing changes that helped to bring Senate Democrats on board. Even on Tuesday, critics of the bill were making a final push to amend the legislation, which gives judges more discretion when sentencing some drug offenders and boosts prisoner rehabilitation efforts. Holly Harris, a conservative strategist and executive director of the Justice Action Network, credited Kushner’s efforts to put Republican governors supportive of the legislation in front of the president to share their experiences about how similar efforts in their states had helped reduce crime. “Their voices were critical in showing another side of reform to the president,” she said of Trump. “He never quit. He never slowed down. He kept moving things,” added Grover Norquist, an advocate for lower taxes, who also worked with Kushner.